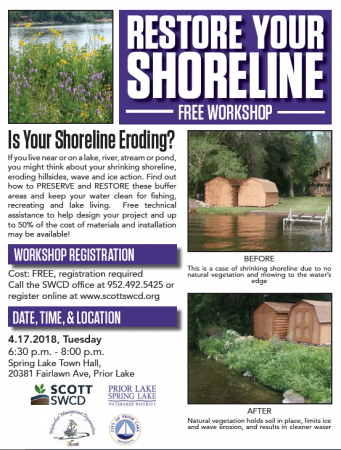 FREE Restore your Shoreline Workshop – April 17th! 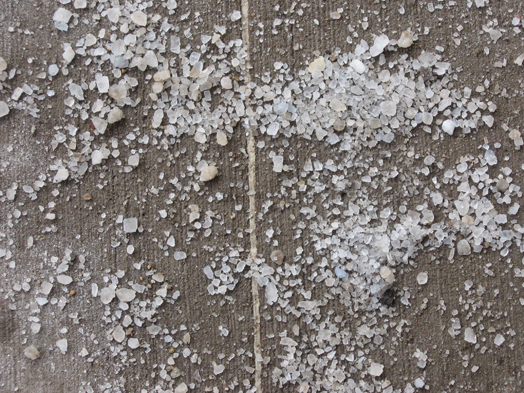 Do you have an eroding shoreline? Want to make your shoreline more lake-friendly? Join us for our free Restore Your Shoreline Workshop! You may even be eligible for free technical assistance to help design your project and for cost share funds of up to 50% of the cost of materials and installation! This free workshop is open to all Scott County residents. Visit www.scottswcd.org or call the Scott SWCD office at 952-492-5425 to register. 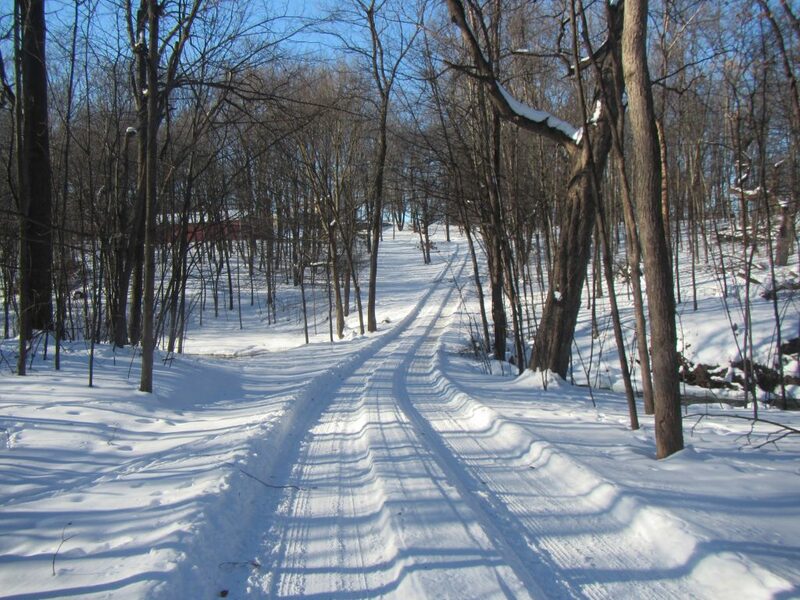 Thinking about adding some native prairie to your property? Join us at this FREE workshop on March 1st to learn how! More details and registration can be found online here. Raingardens are designed to catch rainwater runoff from your roof, driveway, walkways, parking lot and lawn. They provide beautiful and colorful accents while attracting wildlife and pollinators. Unlike a typical vegetable or flower garden, a raingarden is intended to improve water quality of nearby creeks, streams, lakes and rivers. 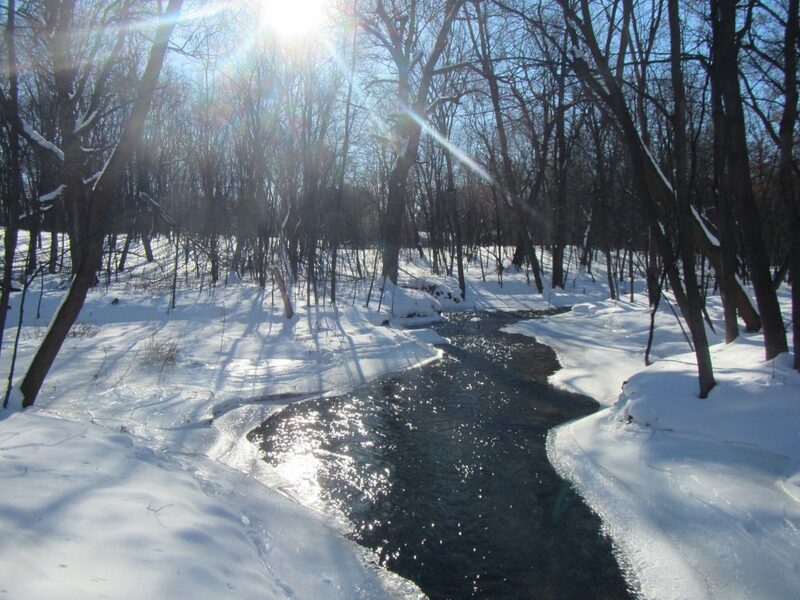 They include deep-rooted native to Minnesota plants that tolerate being partially flooded on occasion. And the best part is there is little maintenance after you dig, mulch and plant your raingarden. Other than simple weeding and watering, raingardens don’t require a lot of attention, but add life and variety to your landscape. 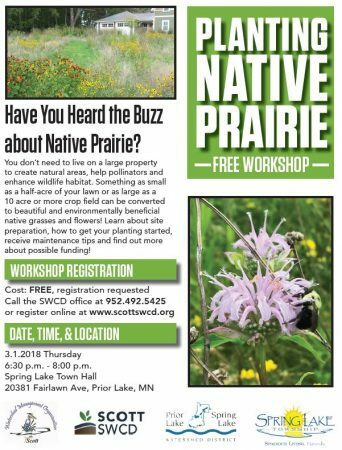 You can register for either of these workshops by calling the Scott SWCD office at 952-492-5425 or visiting the Scott SWCD webpage. 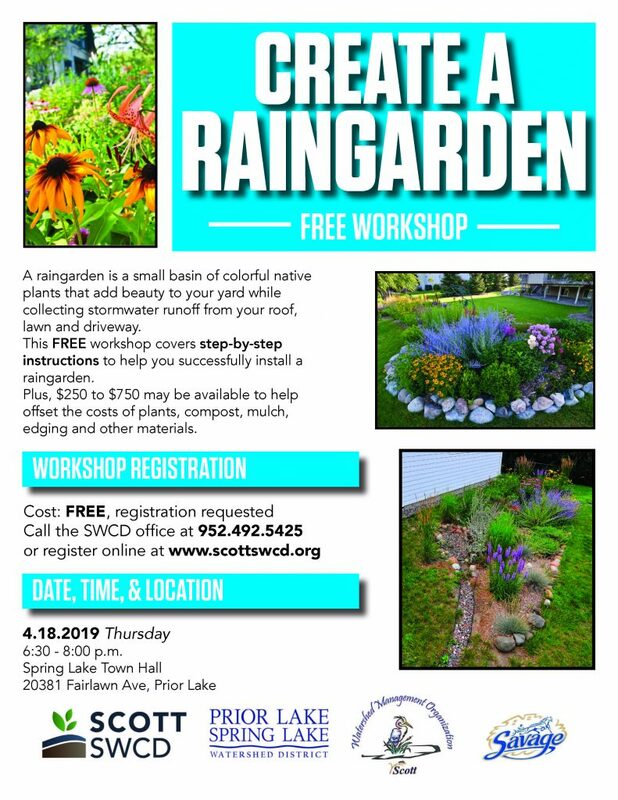 You can mail your payment to Scott SWCD, 7151 190 St W, Suite 125, Jordan MN 55352, to secure your spot in the workshop. There is a $10 fee per person.